The stars and stripes of the baseball diamond will be flying at Panini following the announcement that the card maker has landed an exclusive license with USA Baseball. Under the terms of the multi-year deal, Panini will be the only company allowed to use USA Baseball trademarks on trading cards. 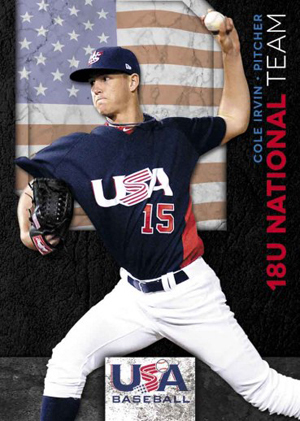 Panini will produce cards of the collegiate, 18U and 15U national teams. 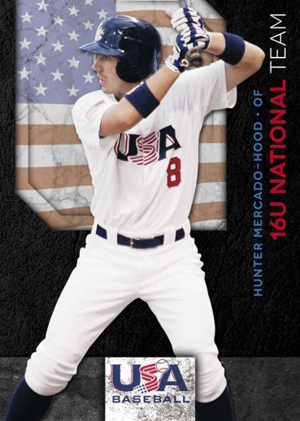 The deal also allows Panini to use past members of the USA Baseball program. The first cards under the deal are expected to be in 2012 Panini Prime Cuts Baseball, which is slated for an October release. The set will have cards of the 2012 USA Baseball Collegiate squad. The 18U and 15U teams will follow shortly after in December's 2012 Donruss Elite Extra Edition Baseball. Panini promises autographs and game-used memorabilia cards for both sets. Panini will also make a hobby-exclusive box set combining all three USA baseball teams, which is schedule for the Christmas rush. This is the third company to hold the USA Baseball license in the past few years. Upper Deck held it for several years before Topps took it over in 2010. Topps included cards in several of their releases for two years, including their Bowman brands, Topps Chrome and a hit-heavy box set in 2011. Some of the most iconic USA Baseball cards can be found in 1980s and early-90s Topps products, the most famous of which include the 1985 Topps Mark McGwire, 1992 Topps Traded Nomar Garciaparra and 1993 Topps Traded Todd Helton.